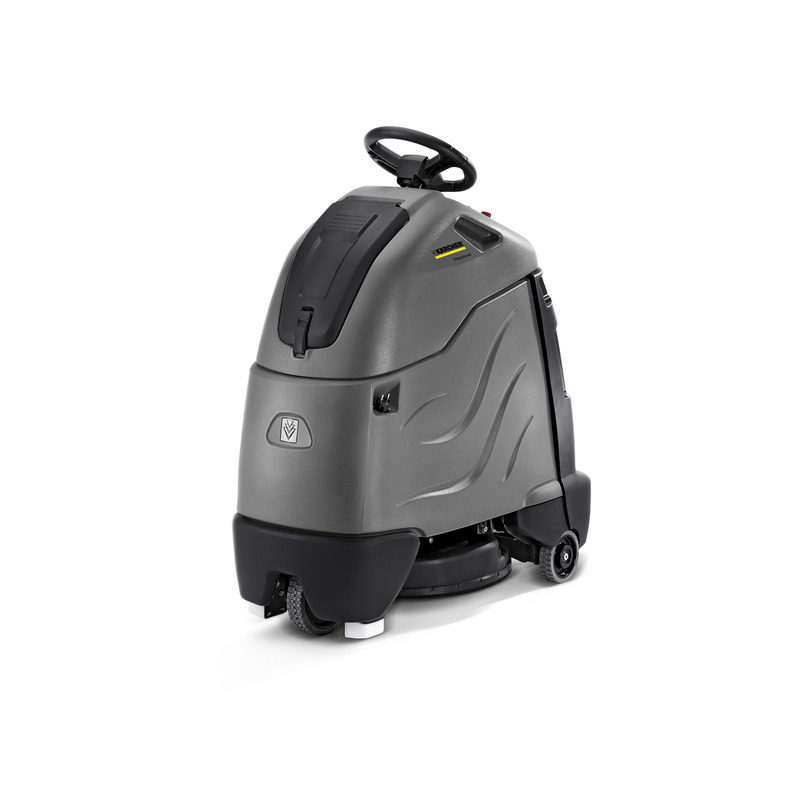 BDP 50/2000 RS Bp 10020410 https://www.kaercher.com/tn/professional/floor-scrubbers-scrubber-dryers/polishing-machines/bdp-50-2000-rs-bp-10020410.html The BDP 50/2000 RS BP step-on ultra-high-speed polishing machine with 50 cm working width and about 2750 m² area performance per hour, is ideal for contract cleaners. The BDP 50/2000 RS BP step-on polishing machine combines important features of several machines. It has the manoeuvrability of a walk-behind machine and an impressive turning circle of just 1.30 metres. It operates at the speed of a ride-on machine and offers a clear view due to the raised working position. The 50 cm large pad drive board rotates at 2000 rpm and provides brilliant polishing results. Polishing dust is effectively removed by passive and active suction to prevent dust turbulence. The integrated filter system under the hood at the front of the machine also enables easy filter bag changing and the EASY-Operation system makes the machine simple to use. We recommend the BDP 50/2000 RS BP Pack polishing machine for use in public buildings, exhibition areas and hotels.